FARMINGTON - Megan Roberts' book, Titcomb, a Mountain of Ski Memories, has been chosen to receive the 2019 International Ski History Association’s prestigious Skade Award. ISHA’s mission is to preserve and spread the knowledge of ski history, as well as increase the public’s awareness of the sport’s heritage. Each year sine 1993, awards have been given to authors, journalists, filmmakers and academicians to honor "creative works of history." According to ISHA, the Skade Award Roberts is to receive is presented for “an outstanding work on regional ski history or for an outstanding work published in book form that is focused in part on ski history." Titcomb Mountain is a community recreational area located in Farmington, and this book covers the 80-year history with picture, antidotes, and the documentation of the ups and downs of the determined group of people who keep it alive. There are very few areas still in operation that are totally owned and operated by club members, but the Farmington Ski Club shows that it can be done successfully. 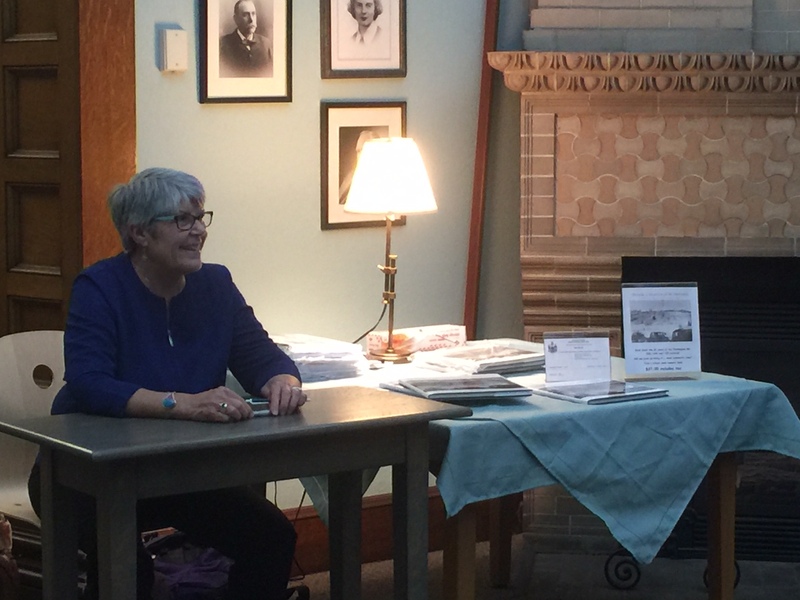 Upcoming book signing events will be held on Feb. 11 at Spruce Mt Adult Ed from 3:30 to 5:30 p.m., all day at Titcomb Mountain on February 18, and at Seniors Plus in Lewiston on Feb. 19 from 10 to 11:30 a.m. She will be at the Ski Museum of Main’s John Christie Heritage Classic at the Sugarloaf Inn on Feb. 16. Her book is also available at bookstores throughout Maine. Roberts grew up skiing on this slope and spent 30 years in the ski industry, including eight years as manager of Titcomb Mt. Roberts was the President of the Ski Maine Association and also became the first Executive Director of the Ski Museum of Maine, with a 2015 induction into the Maine Ski Hall of Fame for her life-long devotion to the sport of skiing. She will travel to Park City, Utah in April to receive her Skade Award. For more information, call 207-778-2964. Congratulations, Megan; your folks would be so proud, especially your dad who was an author himself!!!! Congratulations Megan - a well deserved honor for all of your dedication to skiing, and to our community. Casey loved his copy of your book! Congratulations Megan, so proud of you. I love that you are keeping the Ski history alive for all generations to come. My best to you. Congratulations Megan. This is a well deserved reward for all the time involved in getting your book completed. Congratulations, Megan......it is a well deserved honor and I am very happy for you. Your book is wonderful and your dedication to Titcomb Ski Slope is admirable and greatly appreciated. Go get 'em Megan!!!! Congrats!!! !